Recently renovated throughout to modern style , the house enjoys an authentic exterior and situated within its own garden with swimming pool overlooking the sea. The villa enters into a relaxing living room with fireplace and offset dining area . Doors from the lounge open to the garden and outside area. 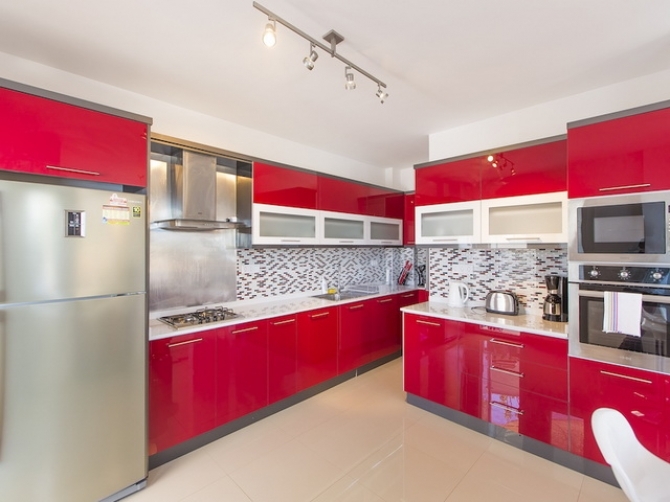 The lounge leads through to a kitchen with high quality worktops,cupboards and meal preparation space. Four bedrooms inside provide room for a family of eight to sleep comfortably overnight. All rooms are fitted with en-suite private bathrooms and have access to balconies or terraces commanding sweeping panoramic views of the bay and sea . At the rooftop is a spectacular roof terrace with the best views of the house. 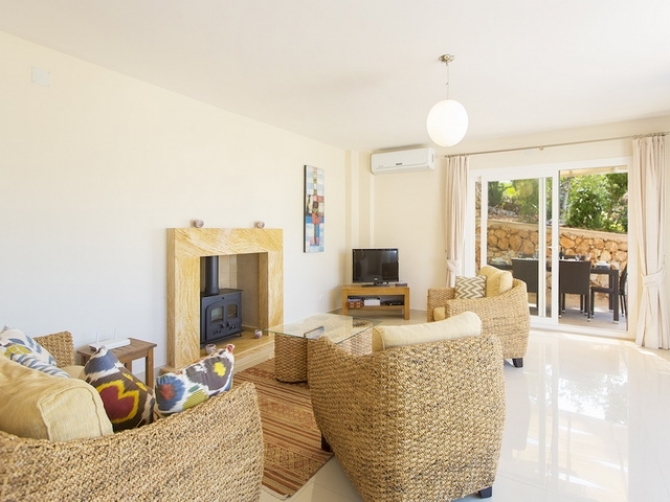 Features of the property include : air-conditioning units in all rooms and bedrooms ,central heating system , fully fitted kitchen ,modern bathrooms and so much more. 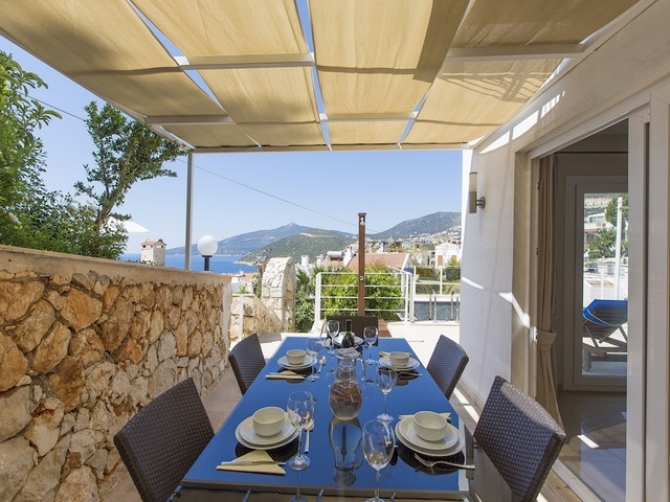 Situated in a plot measuring 300 square meters ,the outside area offers lots of space for family summer bbq ,relaxing or sunbathing in the afternoon . 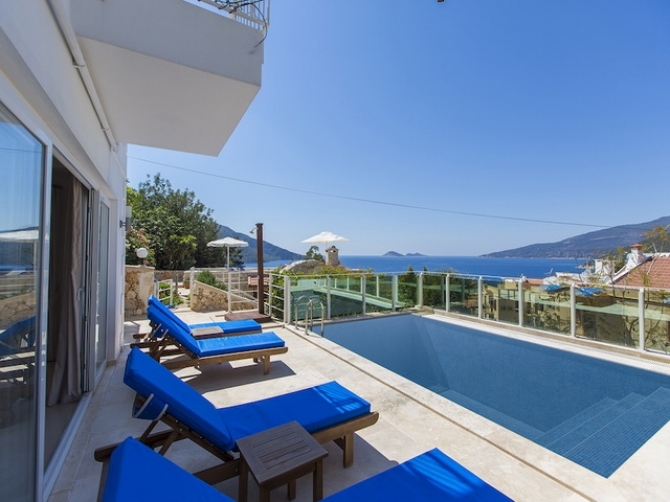 At the centre of the garden is a private swimming pool with amazing views. 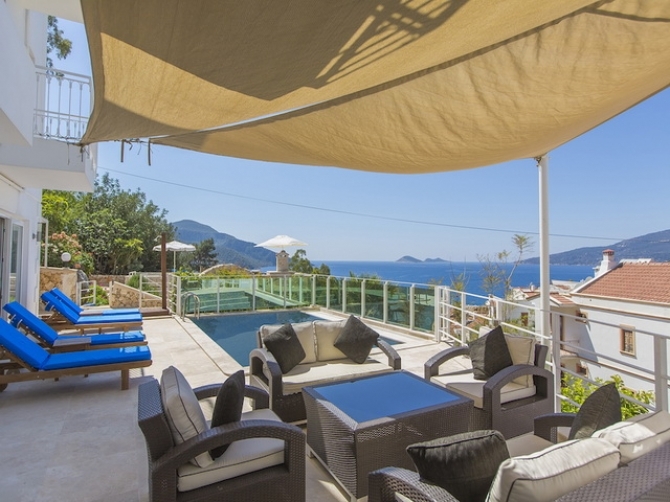 An excellent location in Kalkan , coupled with the high quality of the villa itself results in an abundance of rental potential for anyone looking to invest in Turkey. With the summer period lasting between 20-25 weeks , this is an opportunity not to miss out on. 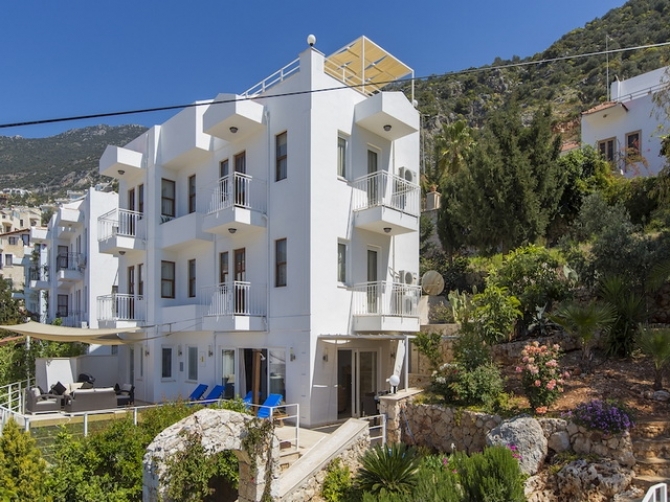 Surrounded by the scenic Taurus Mountains to one side and Kalkan Bay to the other side, the location couldn't be better for those looking to live in the heart of the Old Town looking out towards the sea with great views from an elevated position , the property is only two minutes away from the centre and harbour where opportunites are found for salling a rare location where properties are hard to come by.